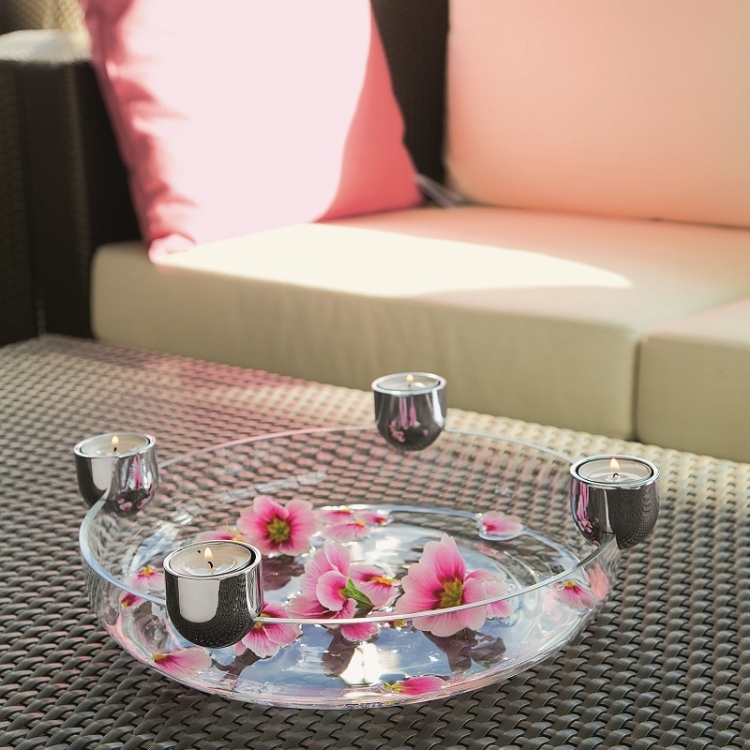 Arena is an illuminated bowl by Philippi and an example for timeless and multifunctional decoration. 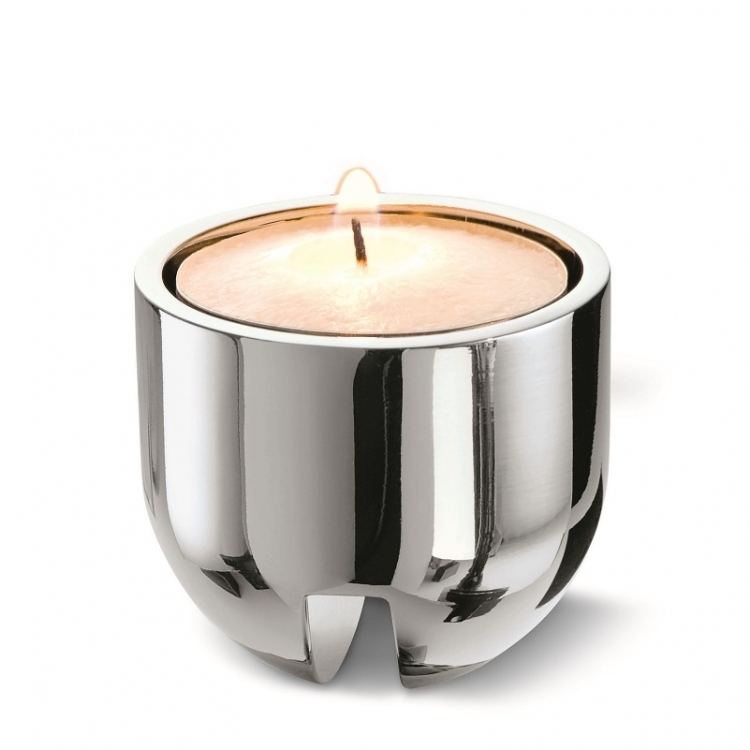 Four chrome plated votive-candleholders can be placed at the borders of the glass bowl, illuminating the content. 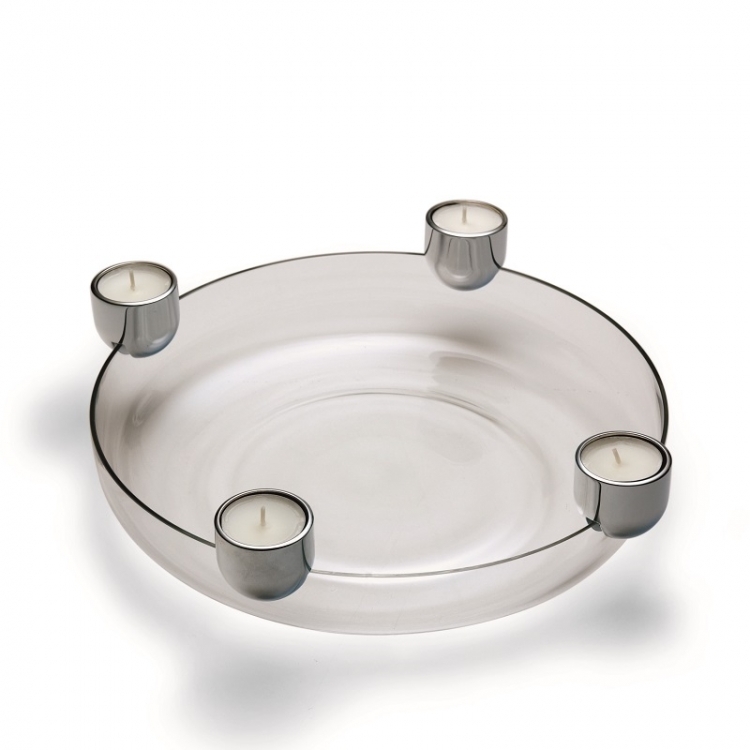 With its four lights, Arena is ideally adapted to be used as Christmas decoration and can also be used as advent wreath. Arena is suitable for snacks, sweets, branches of fir and other decorations and it also places them in the right light. 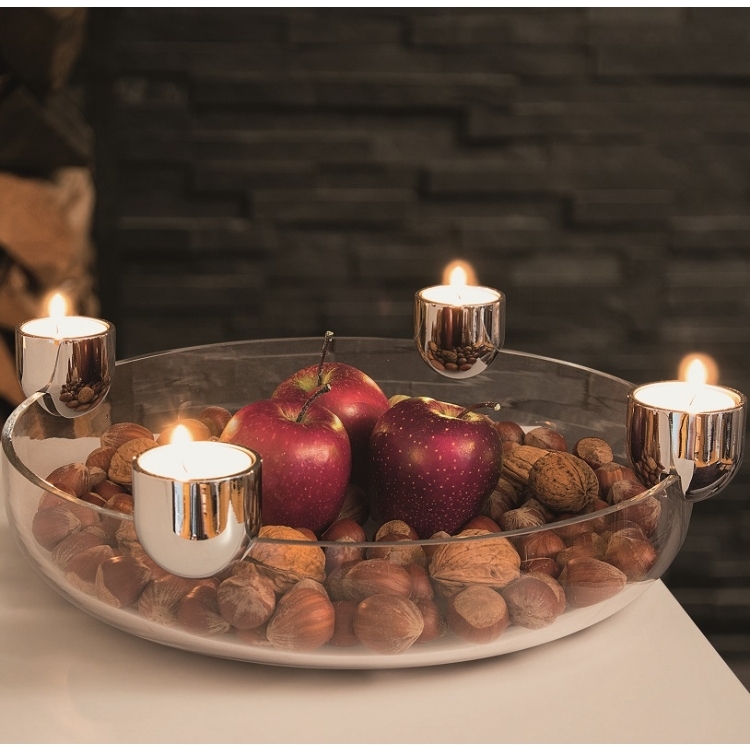 Not depending on the season, Arena is a multiple usable and elegant serving bowl for salads, fruits or other snacks, with or without illumination. 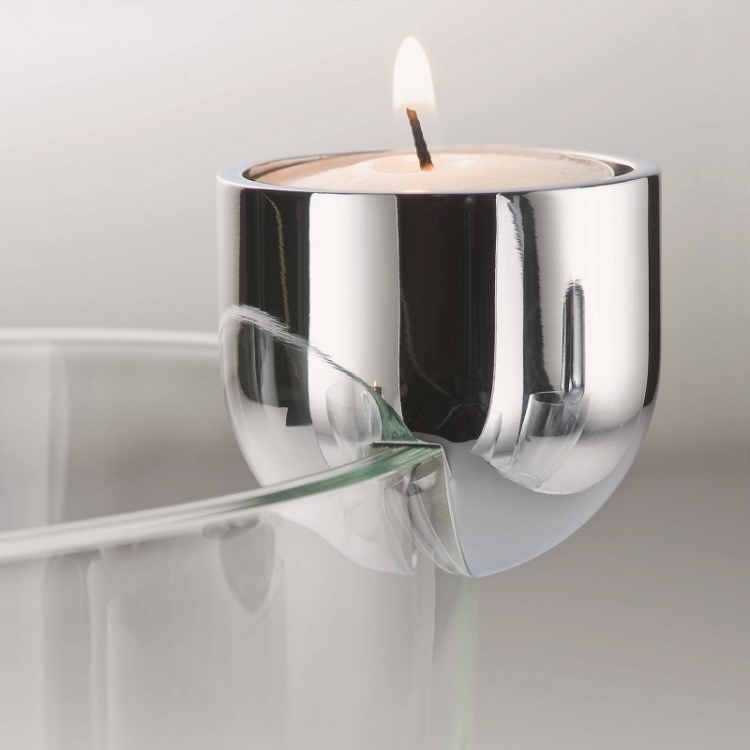 The votive-candleholders of the “Arena” bowl by Philippi are adapted to common votive-candles. 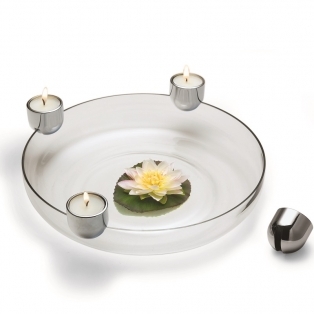 Also cleaning the bowl is easy since the candleholders are removable.